401(k) and Roth 401(k): The new contribution amount is $17,500, which is an increase over the limit in 2012 of $17,000. Contributions to a regular 401(k) are tax-deferred, so they are taken out before taxes on your income are figured. Money contributed to a Roth 401(k) is not tax-deductible, but it grows tax-free in your account. The catch-up contribution (for those 50 and older) remains $5,500. IRA and Roth IRA: For the first time in years, the contribution limit for the IRA has been raised. For 2013, you can contribute up to $5,500, up from the current limit of $5,000. There is a catch-up contribution of $1,000 extra for those 50 and older. Other retirement accounts: Contribution limits for 457 plans, 403(b) plans, and the Thrift Savings Plan from the government have also been raised. This change makes it possible for you to set aside more money in a tax-advantaged retirement account. It makes sense to increase your contributions if you can, in order to make use of the advantages of compound interest. In 2012, you could only give $13,000 in a year to an individual before being taxed. (Remember: The giver pays the gift tax, not the recipient.) For 2013, the amount you can give without being subject to taxes is $14,000. It is worth noting that this is $14,000 given to each individual, by an individual. So, you can give $14,000 to one person, and your partner can also give $14,000. That means your combined gift to one person can be $28,000 without triggering the gift tax. And you can give that to more than one individual, so if you have 3 children, you can, jointly, give $28,000 to each of them. If you are looking to reduce your estate now, rather than waiting until you pass on, this can be a strategy to help reduce your tax liability. Another change is the amount of foreign earnings that you are allowed to exclude from your taxable income. In 2012, you could only exclude $95,100. For 2013, that amount rises to $97,600. 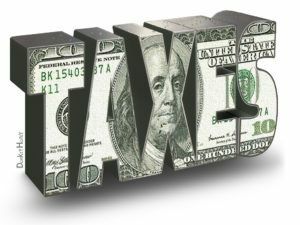 If you live abroad, and have foreign earnings, this can help you avoid paying taxes on some of that money in your country of residence as well as in the United States. It is also worth noting that the Social Security Administration is increasing benefits by 1.7% for 2013. Those receiving income from Social Security will see a little increase, hopefully helping them keep pace somewhat with the rising cost of living. These changes are an indication that inflation is picking up, and that government is aware of it. The IRS is trying to help consumers keep pace with the current situation, and this can provide you a chance to pad your retirement accounts, or reduce your tax liability down the road.